AUCKLAND – Hawaiian Airlines has today announced the appointment of Russell Williss to the position of New Zealand Country Director. In this role, Mr. Williss will be responsible for all commercial functions including the development and planning of Hawaiian Airlines’ growth strategy for New Zealand. The appointment comes following the airline’s recent announcement it is moving to an in-house commercial business model in line with growth in its New Zealand operation. For the last three years, Mr. Williss served as the sales and marketing manager at Hawaiian Airlines’ GSA partner The Walshe Group, for the airline’s New Zealand operation. Prior to that Mr. Williss spent 20 years with Qantas in a broad range of freight, airport operations, retail and corporate travel management roles. Hawaiian Airlines regional director for Australia and New Zealand Gai Tyrrell says Mr. Williss has played a pivotal role in growing Hawaiian Airlines’ local presence since entering the New Zealand market almost three years ago. 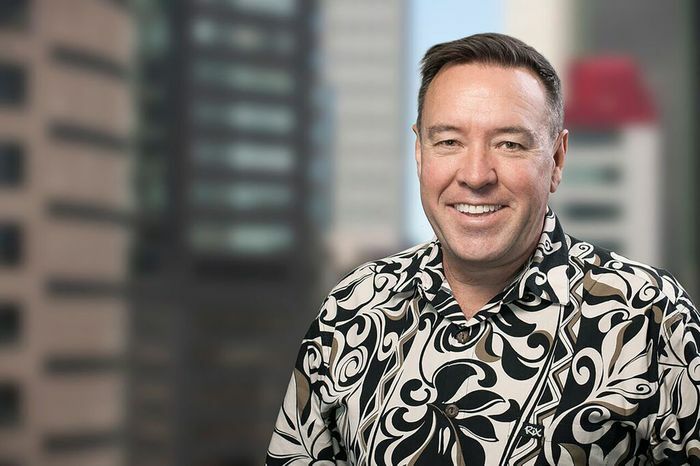 “Drawing on his extensive skill set built by more than 20 years in the airline industry, Russell has worked tirelessly to tell the Hawaiian Airlines’ story and grow our brand’s presence in New Zealand. We’re very proud to officially welcome Russell to the Hawaiian Airlines team,” says Ms. Tyrrell. Mr. Williss says he thrilled to be part of the team and is focusing on growing Hawaiian Airlines’ presence in the New Zealand market. “I am proud to be a part of Hawaiian‘s distinct, strong and wonderfully unique culture. I have the support of a dedicated team in Honolulu and am looking forward to building a local team on the ground in New Zealand,” says Mr. Williss. Hawaiian Airlines is in the process of recruiting a sales and operations team in Auckland to support Mr. Williss.